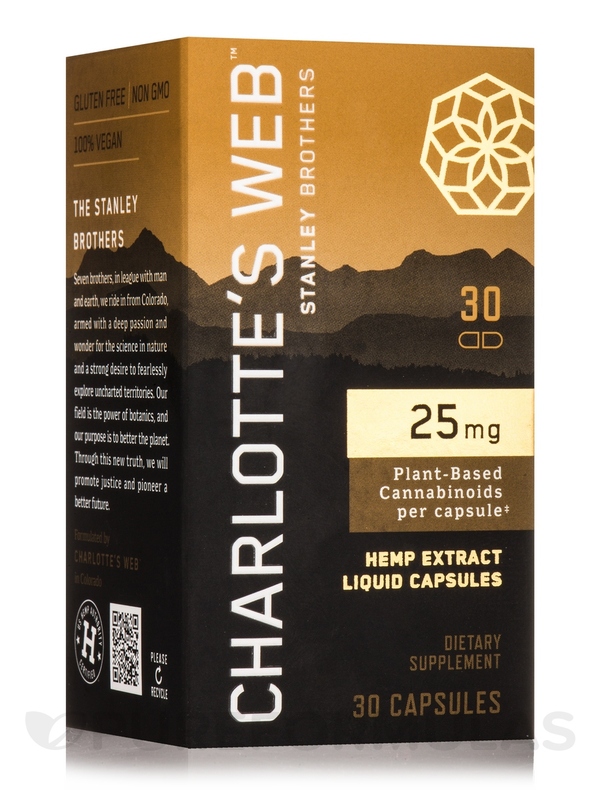 Enjoy the ease of adding Charlotte’s Web Cannabidiol (CBD) Capsules to your supplement routine with the convenience of a capsule. These Hemp Plus capsules help provide support for normal‚ everyday stresses and recovery from exercise. Contains 18mg of CBD per mL. Other Ingredients: Rice bran‚ maltodextrin‚ microcrystalline cellulose‚ cellulose‚ fractionated coconut oil. Gluten-Free / Non-GMO / 100% Vegan / Vegetarian. Adults take one capsule 1-2 times daily. Store in a cool‚ dry place away from light. As with any dietary supplement‚ consult your physician‚ before use‚ if you are pregnant‚ nursing‚ have or suspect a medical condition or are taking any medications.